Audible, an Amazon company described as “Home of the world’s largest selection of audiobooks, audio shows, and original series”, promotes the Audible app in a series of new commercials, encouraging people to listen to the stories they love while doing the things they love, outside. 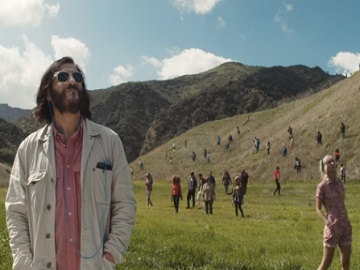 Titled “Binge Better”, one of the spots urges viewers to “binge better” using Audible, this “clever app” which allows users to listen to the stories they love while doing the things they love, outside, like walking dogs, going on hikes, skateboarding, fishing, or just enjoying nature. The “Summer Is Coming” commercial also highlights that, with the free Audible app, your stories go wherever you do, and for $14,95/month you get a credit good for any audiobook. Easy exchanges anytime, rollover credits for up to 5 months are also mentioned, while viewers are also given a glimpse into the titles available on Audible, like Daniel Kraus’ “The Shape of Water”, Patricia Briggs’ “Burn Bright”, Dan Browns’s “Origin”, and others. Finally, viewers are invited to start a 30-day trial, with the mention that their first audiobook is free, and to text SUMMER1 to 500500 to start listening today.